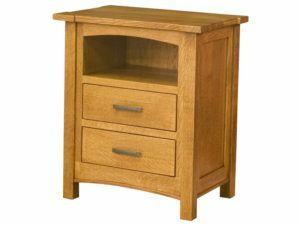 Whenever you read a book in bed, then reach over and turn the light off, do you ever consider the piece of furniture on which you sit your book, watch, phone – and bedside lamp? 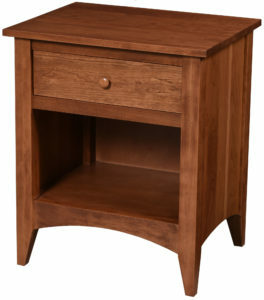 It’s the nightstand, of course! 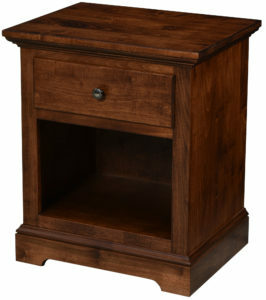 But not all nightstands are created equal. 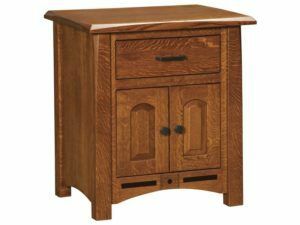 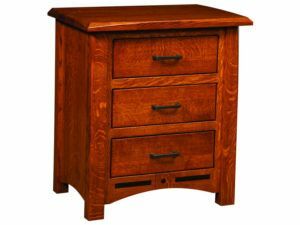 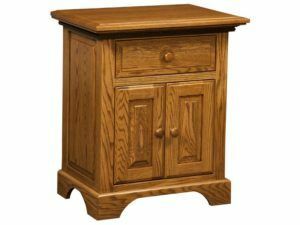 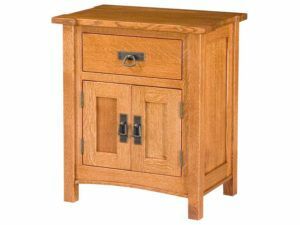 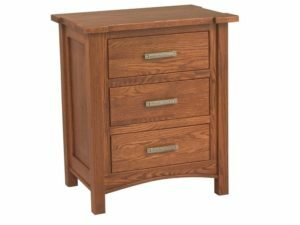 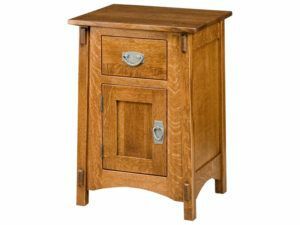 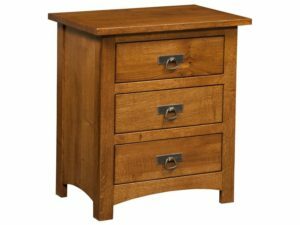 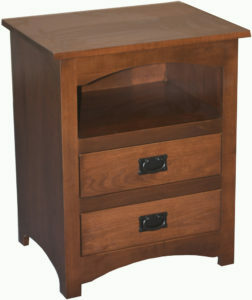 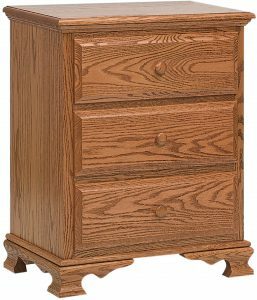 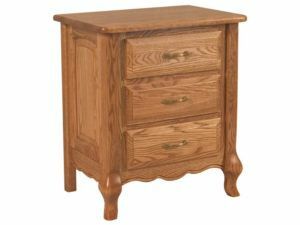 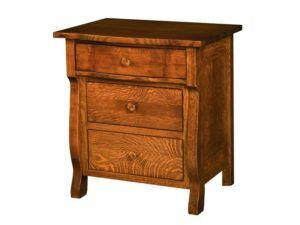 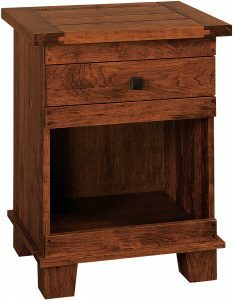 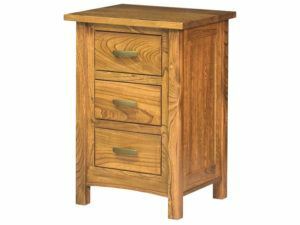 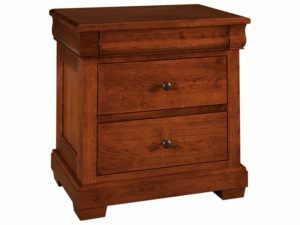 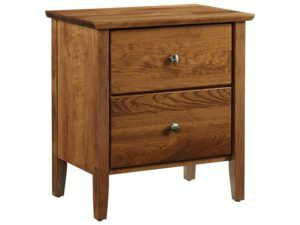 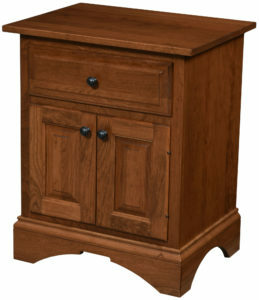 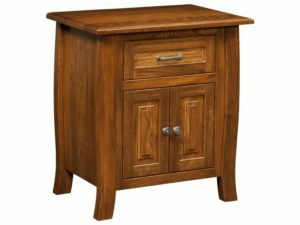 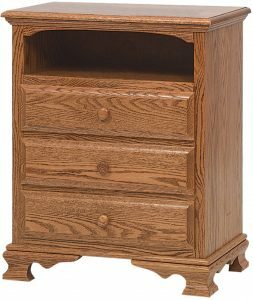 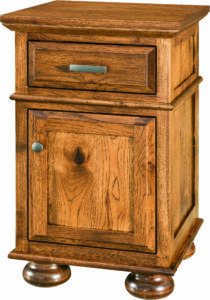 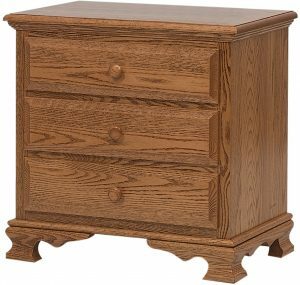 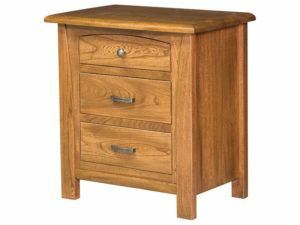 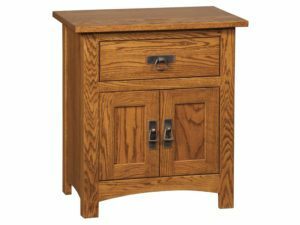 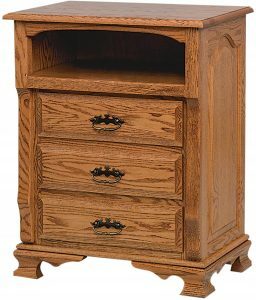 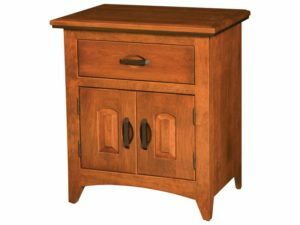 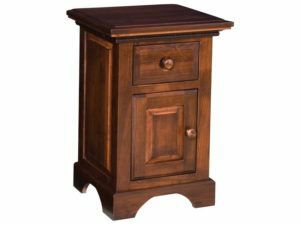 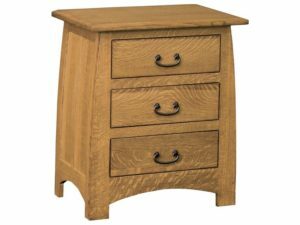 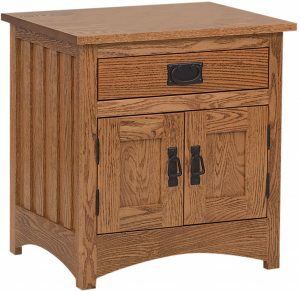 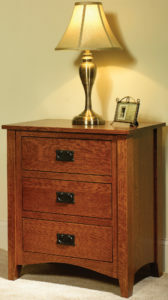 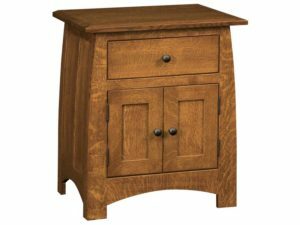 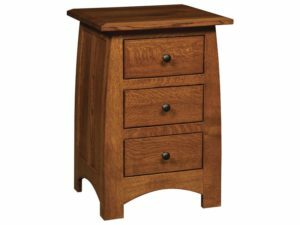 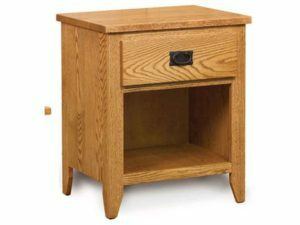 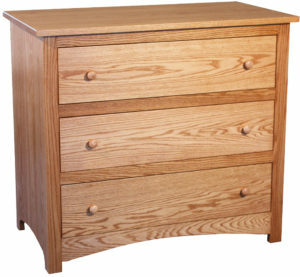 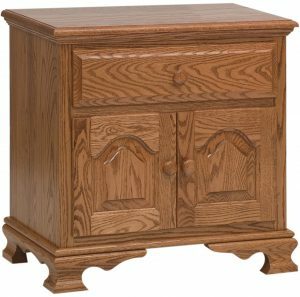 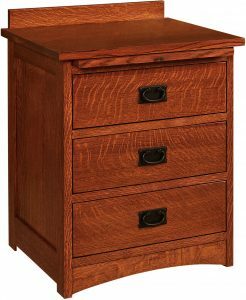 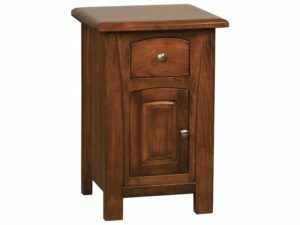 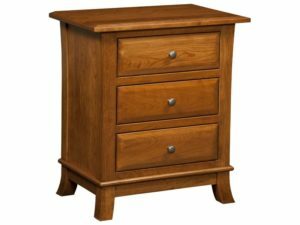 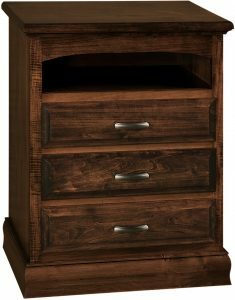 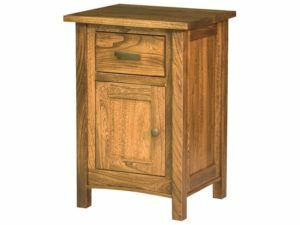 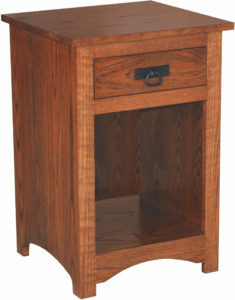 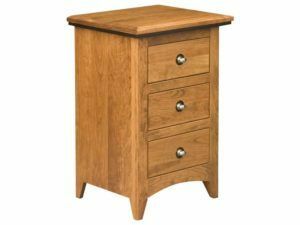 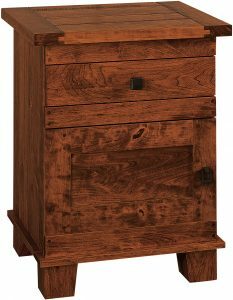 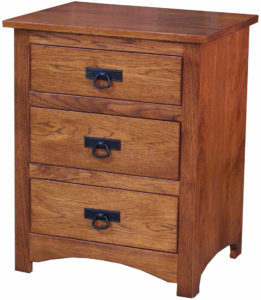 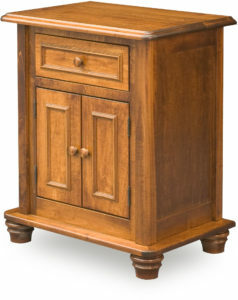 Presenting Amish Nightstands from Weaver Furniture Sales. 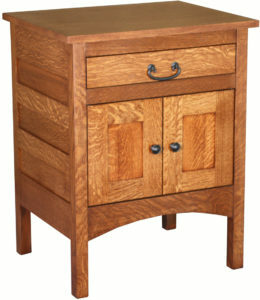 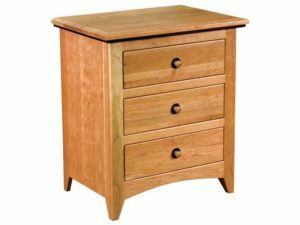 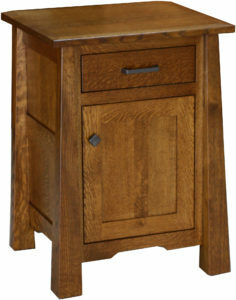 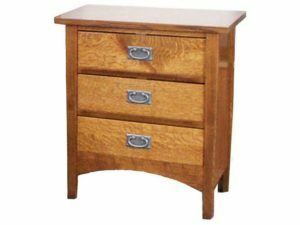 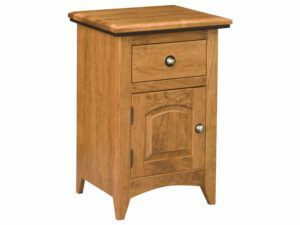 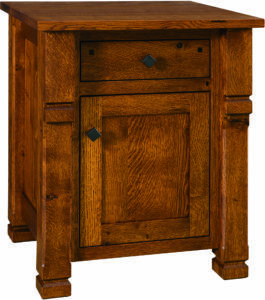 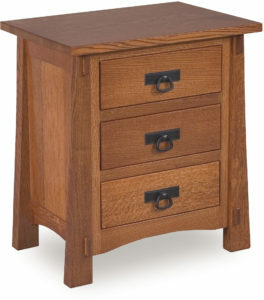 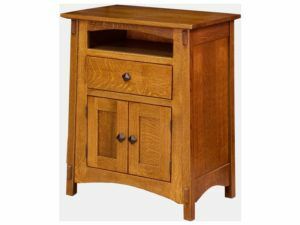 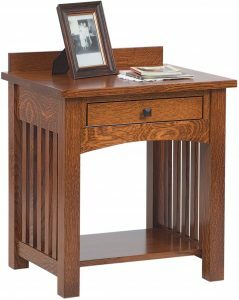 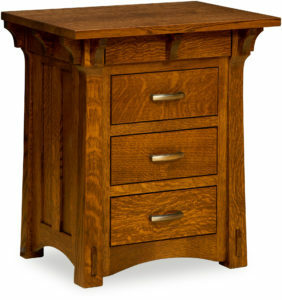 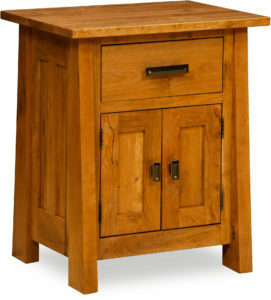 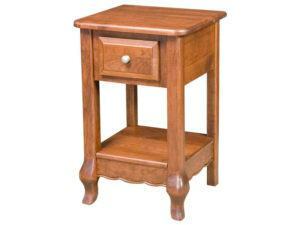 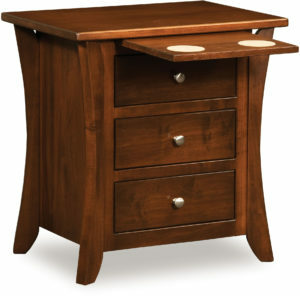 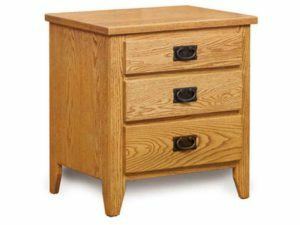 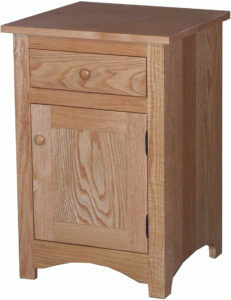 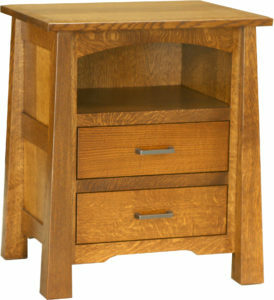 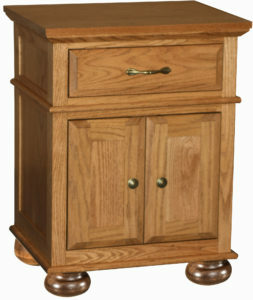 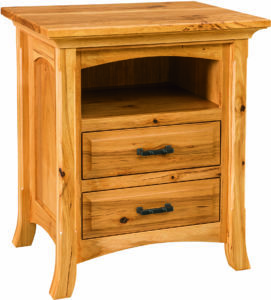 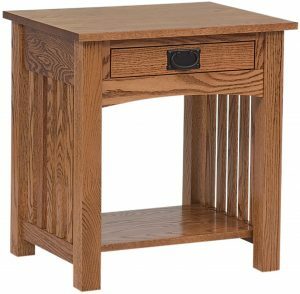 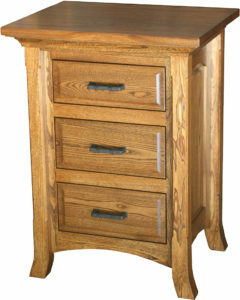 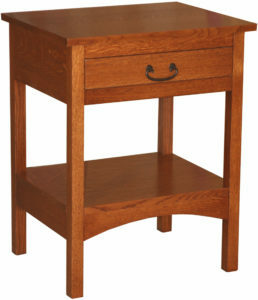 Amish artisans custom-craft each nightstand from solid hardwoods so they’re incredibly sturdy. 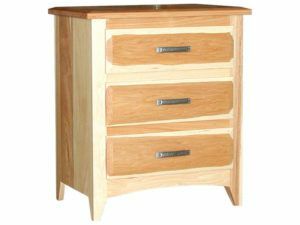 Plus, we offer them in a variety of styles and designs. 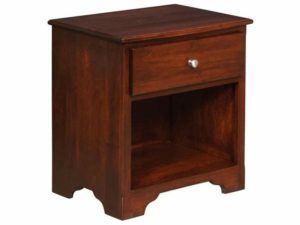 This means our nightstands blend perfectly with your décor. 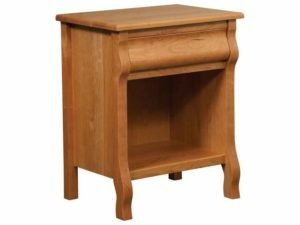 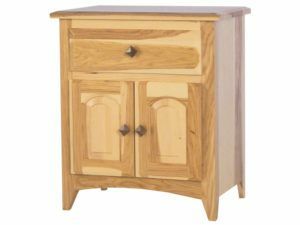 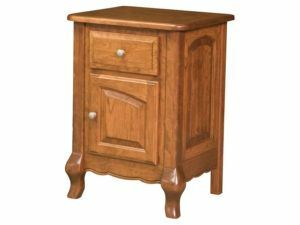 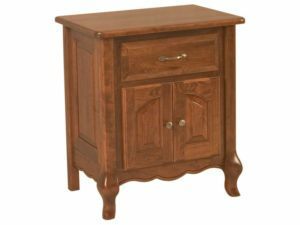 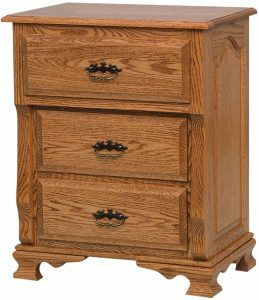 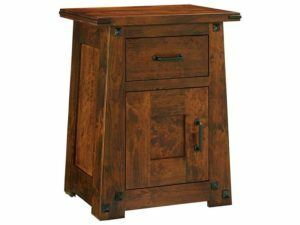 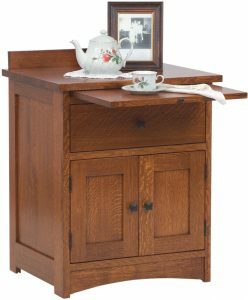 Browse our sizable online collection of Amish nightstands or visit our ‘brick and mortar’ store in Shipshewana, Indiana. 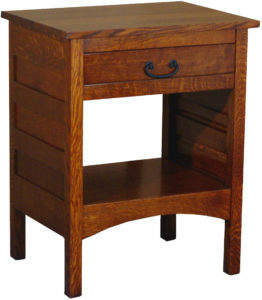 Exposed tenons accent the charming Bungalow Nightstand. 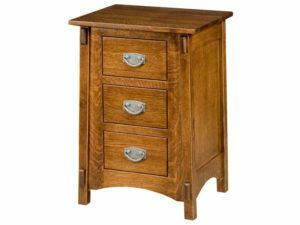 Strength and style meet in the Bungalow Two Door Nightstand. 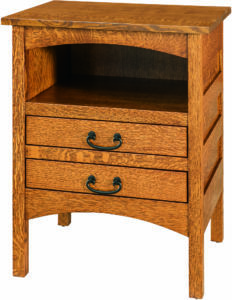 The Charleston Nightstand boasts a one-of-a-kind construction. 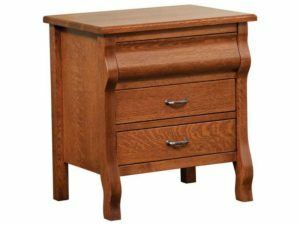 The Classic Heritage Nightstand with Opening possesses a timeless style. 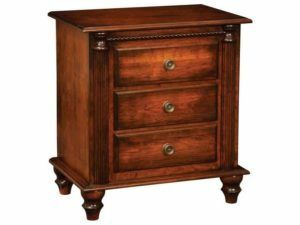 The elegant Classic Heritage Three Deep Drawer Nightstand features plenty of storage space. 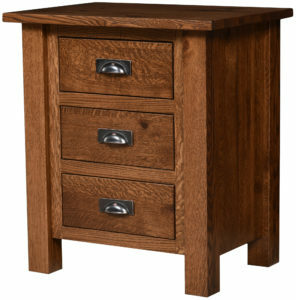 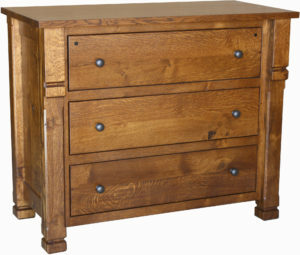 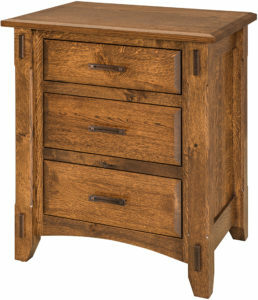 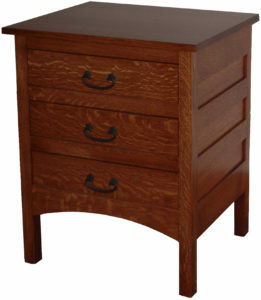 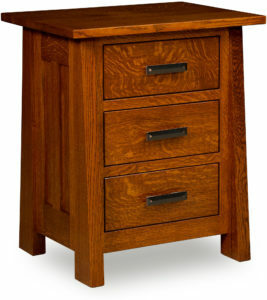 The Heritage Three Deep Drawer Nightstand features beautifully-crafted full-extension drawers. 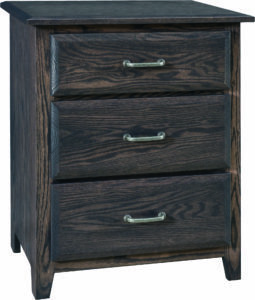 A sleek finish highlights the Heritage Three Drawer Nightstand. 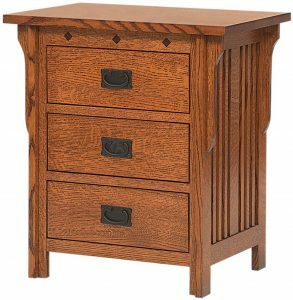 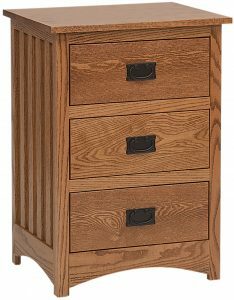 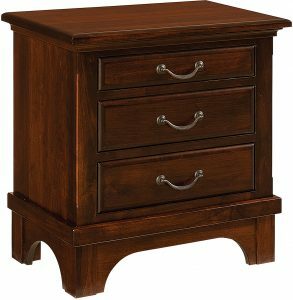 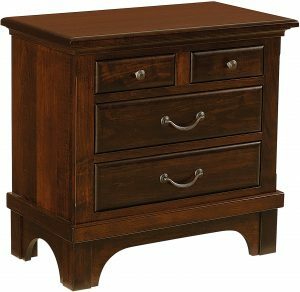 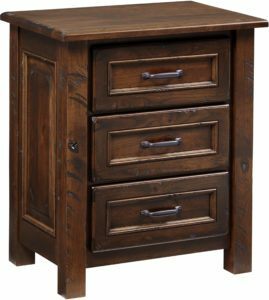 The classic Heritage Three Drawer Nightstand with Opening features plenty of storage space. 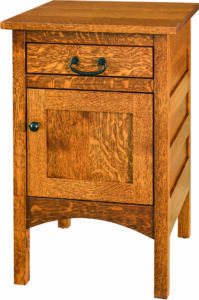 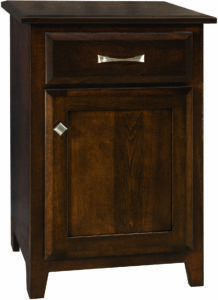 The Heritage Two Door Nightstand blends traditional craftsmanship and a timeless style. 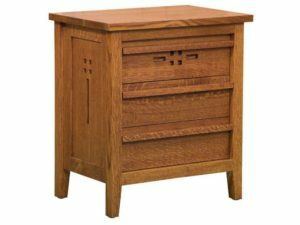 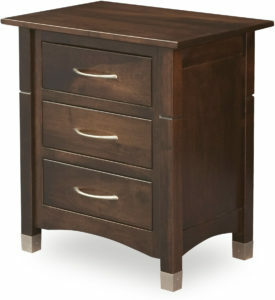 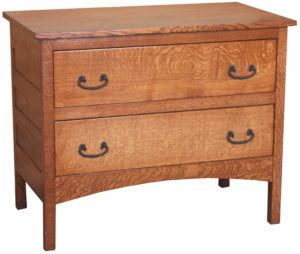 A timeless Mission style marks the Jacobson Three Drawer Nightstand. 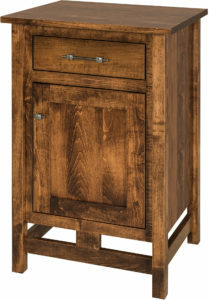 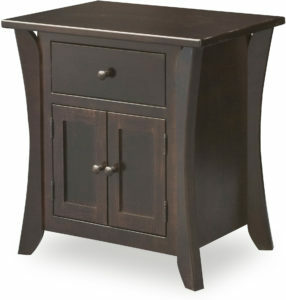 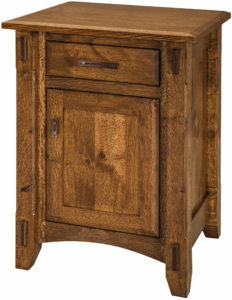 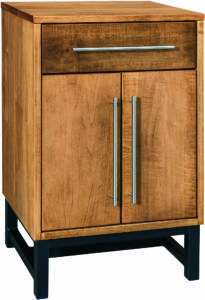 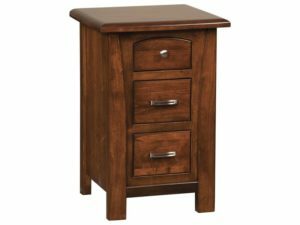 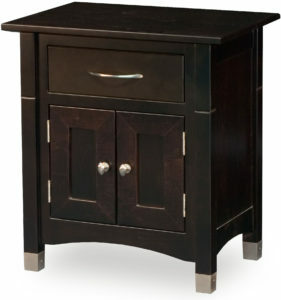 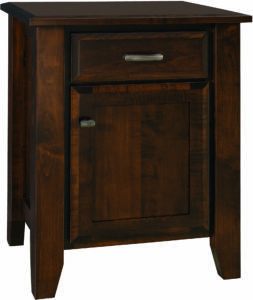 Strength, style and space unite in the Mission style Jacobson Two Door Nightstand. 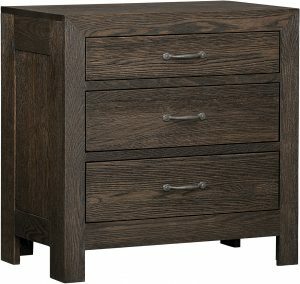 The Larado One Drawer Nightstand features a large open space. 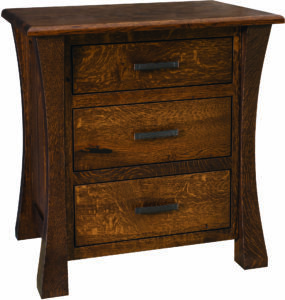 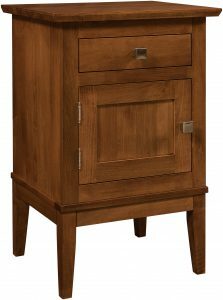 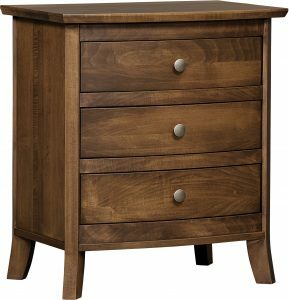 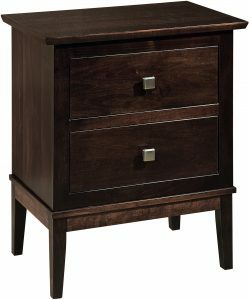 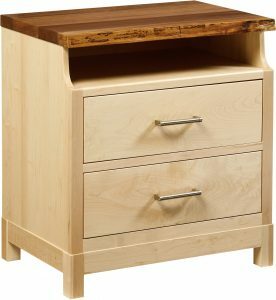 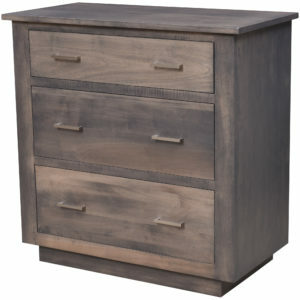 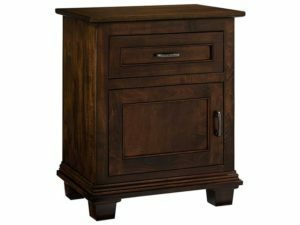 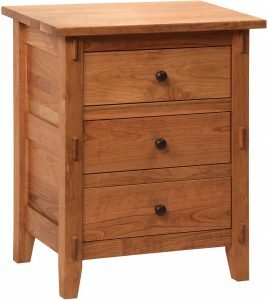 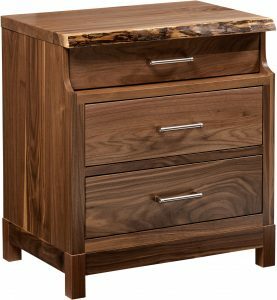 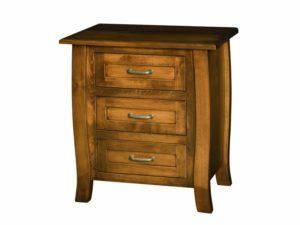 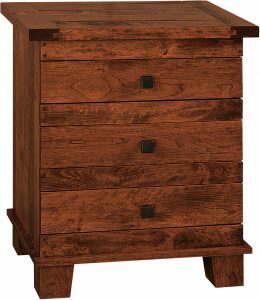 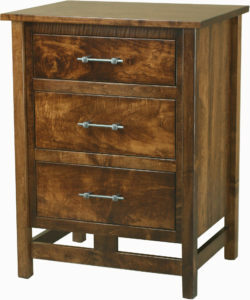 The Larado One Drawer, One Door Nightstand boasts a stately design. 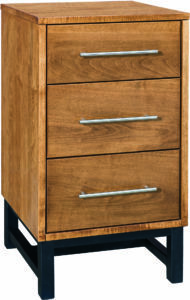 The Larado Three Drawer Nightstand features dynamic storage space. 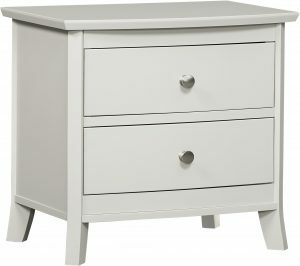 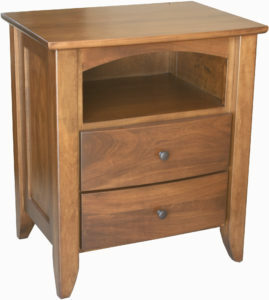 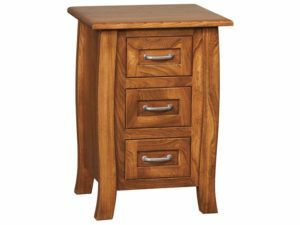 The Laurel Nightstand offers plenty of storage with two drawers. 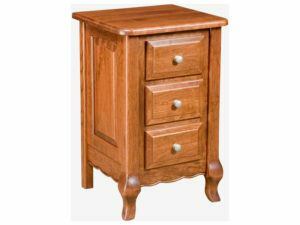 It is custom crafted from the finest hardwood and is shown here painted white. 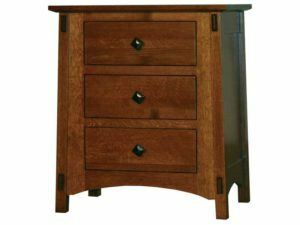 Request your customization options and let one of our furniture specialists give you a custom quote. 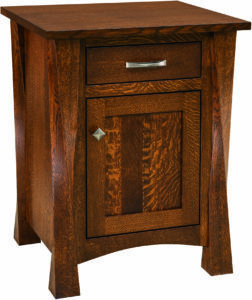 Rich, detailed woodwork highlights the Palisade Nightstand. 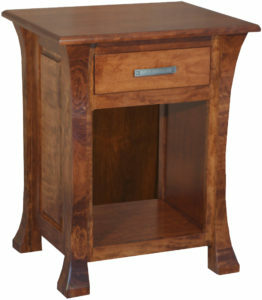 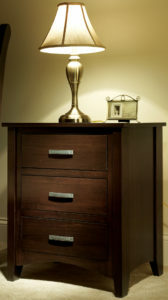 The elegant Rosemont Nightstand features a modern style. 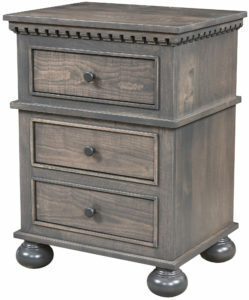 Polished bun feet accent the Rosemont Three Drawer Nightstand. 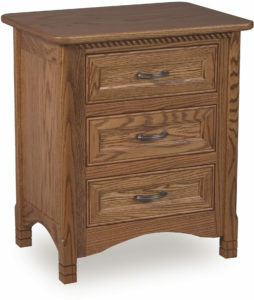 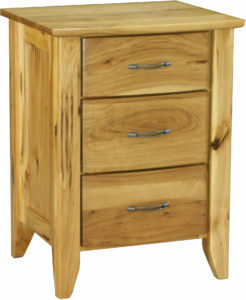 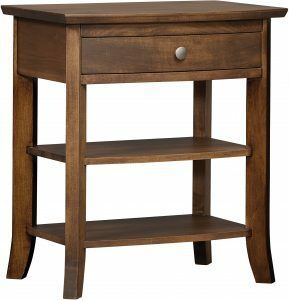 The Royal Mission Open Slat Nightstand unites strength and style. 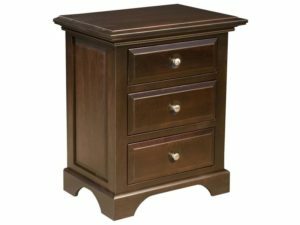 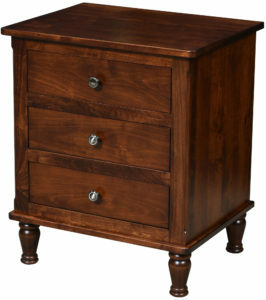 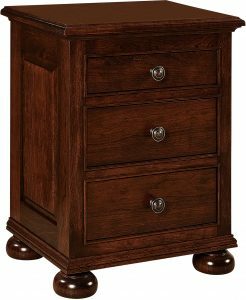 The Royal Mission Three Drawer Nightstand features a classic style and plenty of storage space. 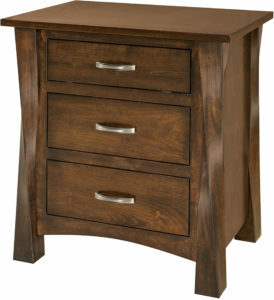 Beautiful, sleek craftsmanship accents the Venice Two Drawer Nightstand. 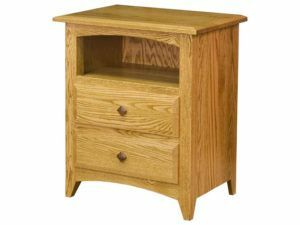 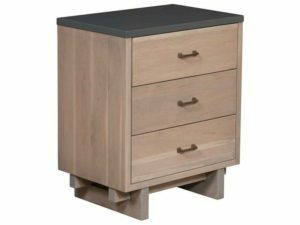 If you’ve ever shopped for nightstands in big box stores or many chain furniture stores, you’ll discover that the nightstands offered are like an afterthought because they’re made of particle board and other bargain materials. This is not so with Amish nightstands from Weaver Furniture Sales. 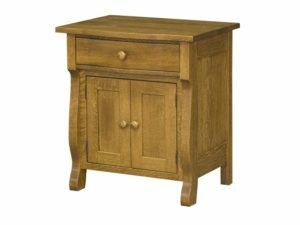 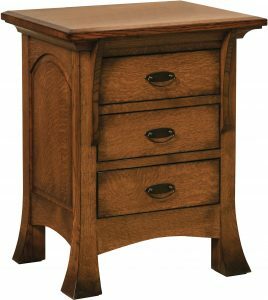 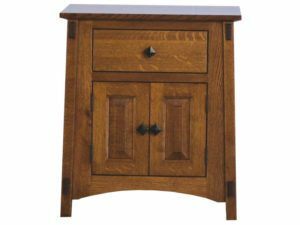 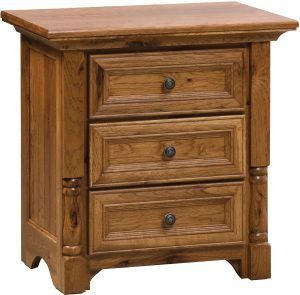 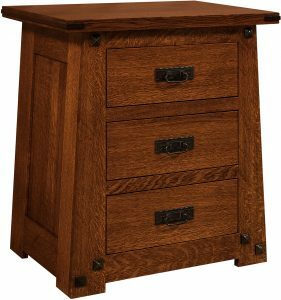 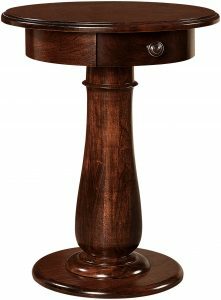 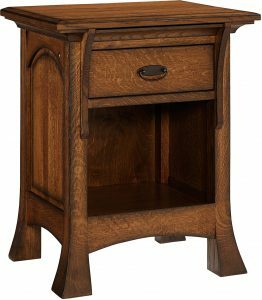 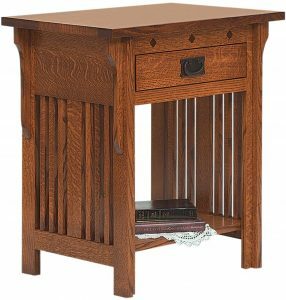 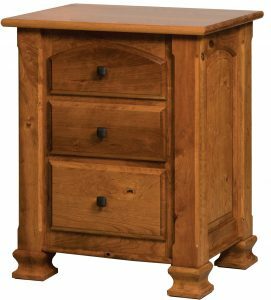 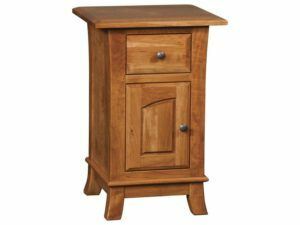 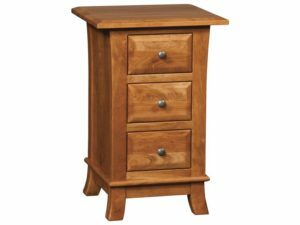 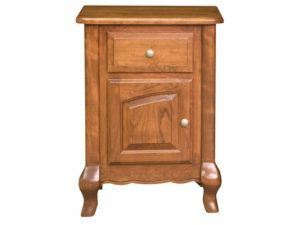 The top Amish craftsmen in the Midwest build each custom nightstand from regional hardwoods so with proper care, generations to come can enjoy them. Also, the Amish men craft nightstands in a variety of styles — from traditional to modern designs. 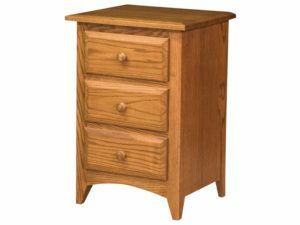 They include classic styles like Mission and Shaker. 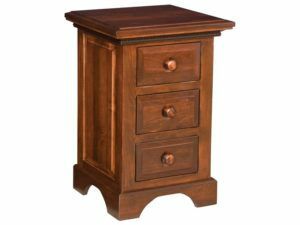 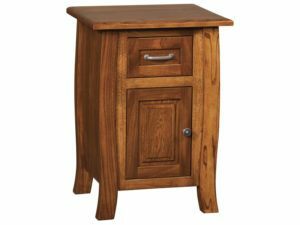 All the way to modern nightstands like Kashima so you’re sure to find the unit which complements your existing furniture.